Setting the new standard for young musicians. 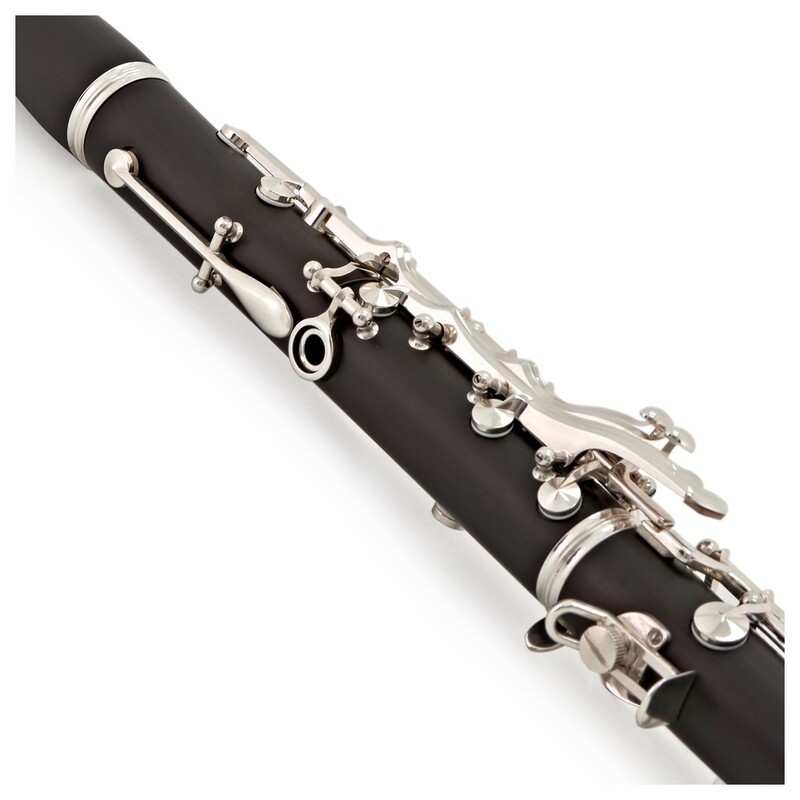 Boasting the full and warm tone that Buffet clarinets are known for, the Buffet E12F has become a trademark of student instruments. It's the clarinet you can rely on to perform day-in, day-out. That reliability comes from the quality and consistency of the E12F's construction. 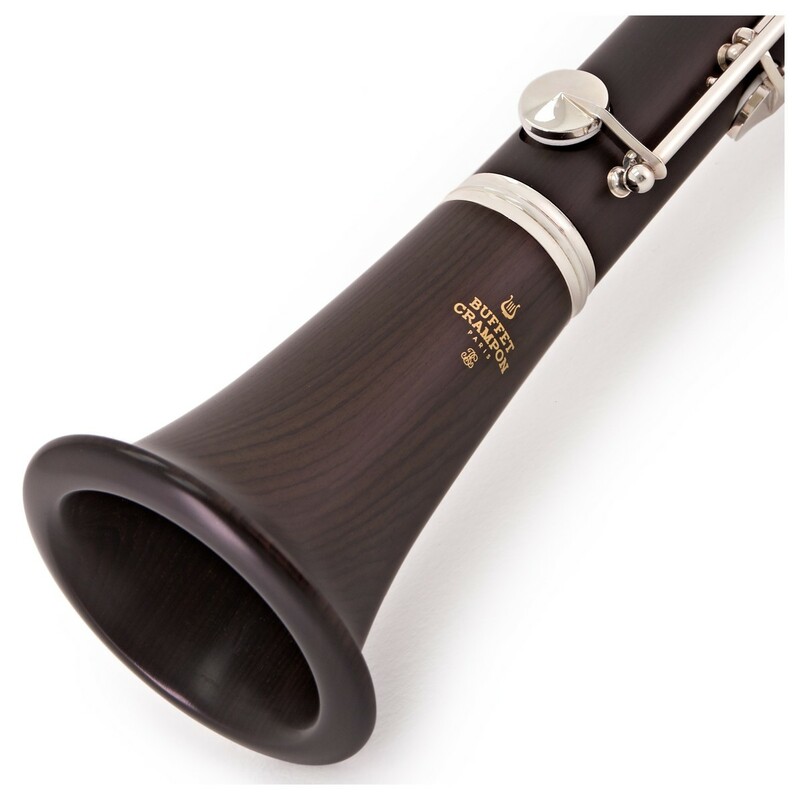 Crafted from unstained African grenadilla wood and assembled by hand in France, the E12F has all the technical characteristics of a much more expensive instrument. Boasting leather pads, blue steel springs, and a silver plated mechanism, you know the E12F is built to last. 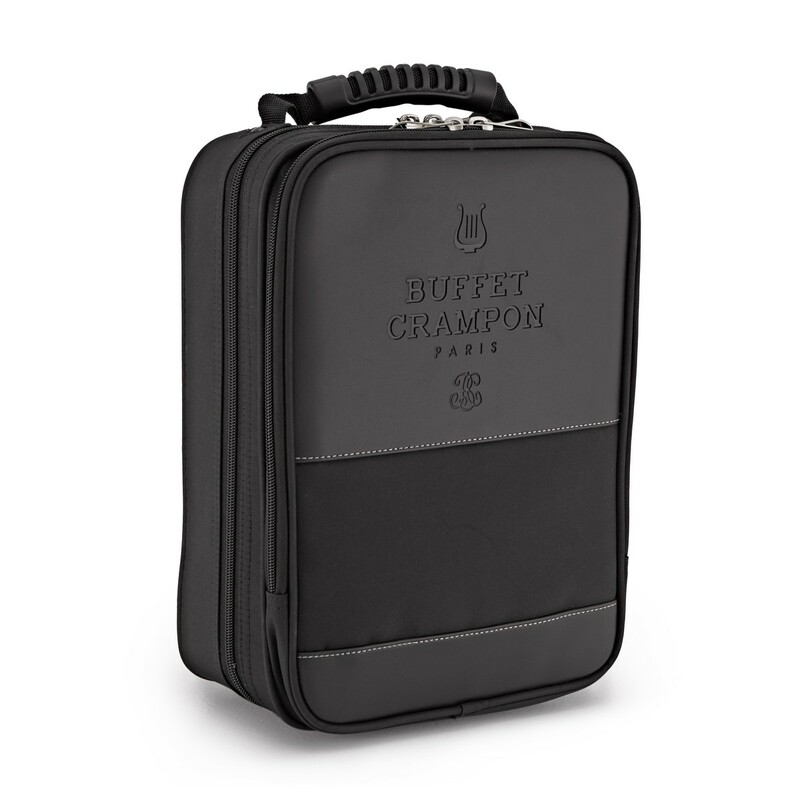 The Buffet E12F includes everything you need to start playing. 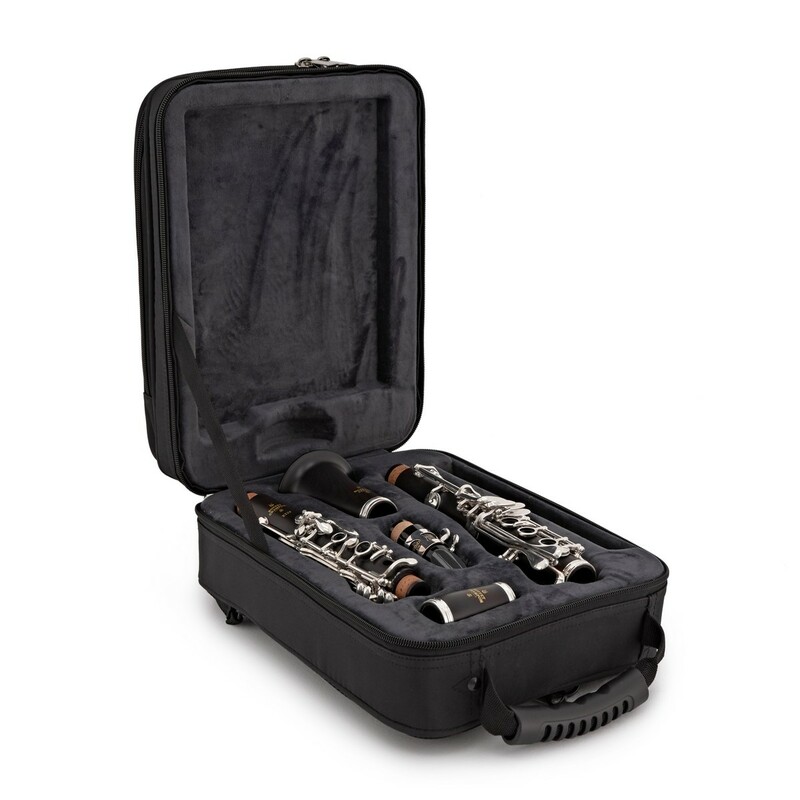 It includes a mouthpiece, reed, ligature, and backpack style case so you can easily transport your new clarinet. 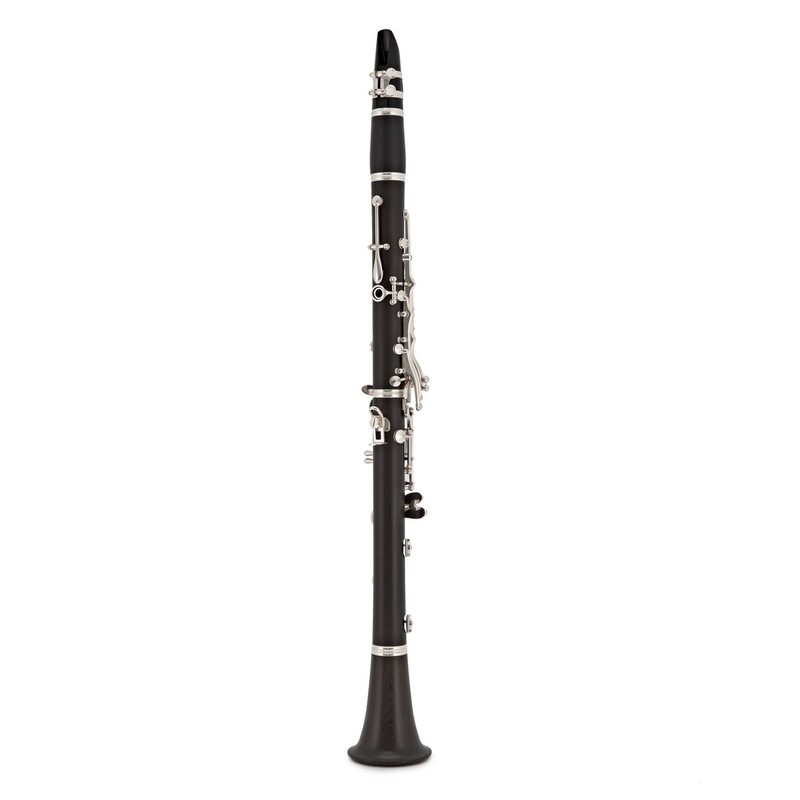 Buffet's research, development, and production teams all worked together to produce a high-quality student clarinet, for an affordable price. 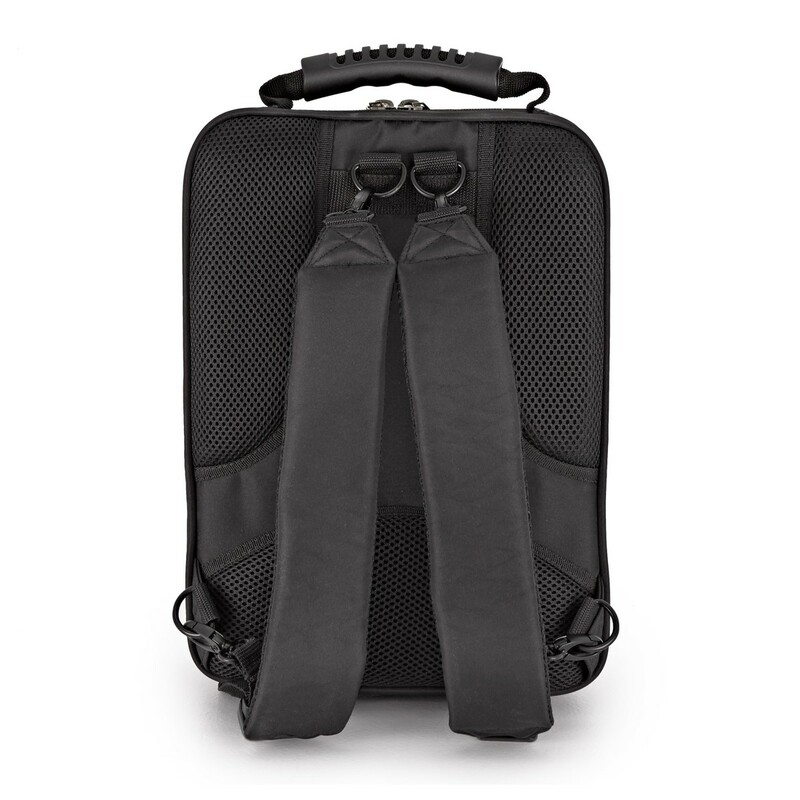 It was important to keep the professional qualities of the model, so Buffet worked hard to come up with a solution which could make this possible. The assembly of this model takes place in Buffet's German workshop in Markneukirchen. 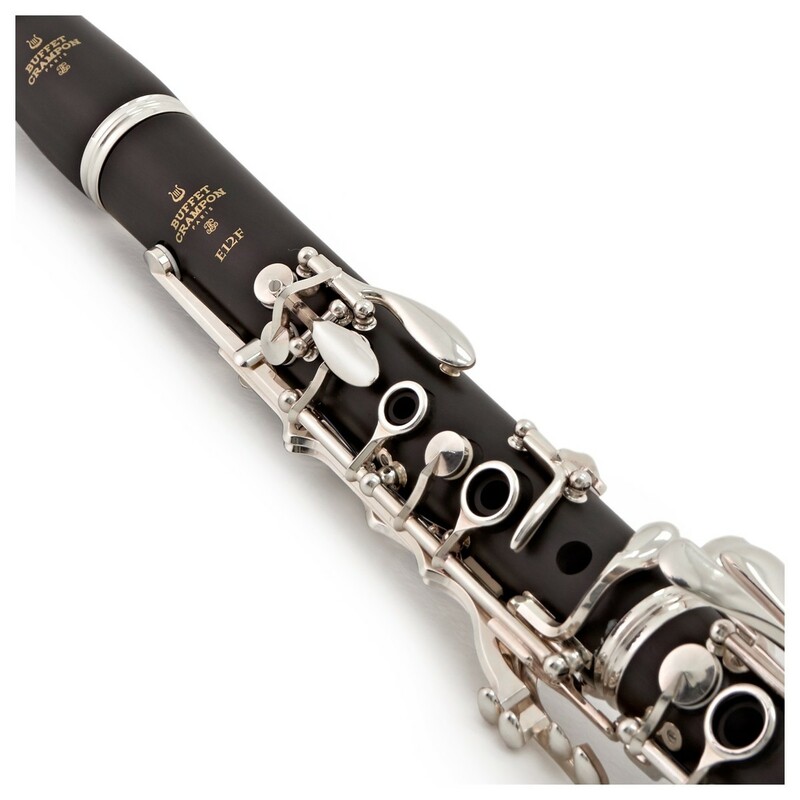 The key characteristics of the E12F are its reliability, accurate tuning, and easy playability. 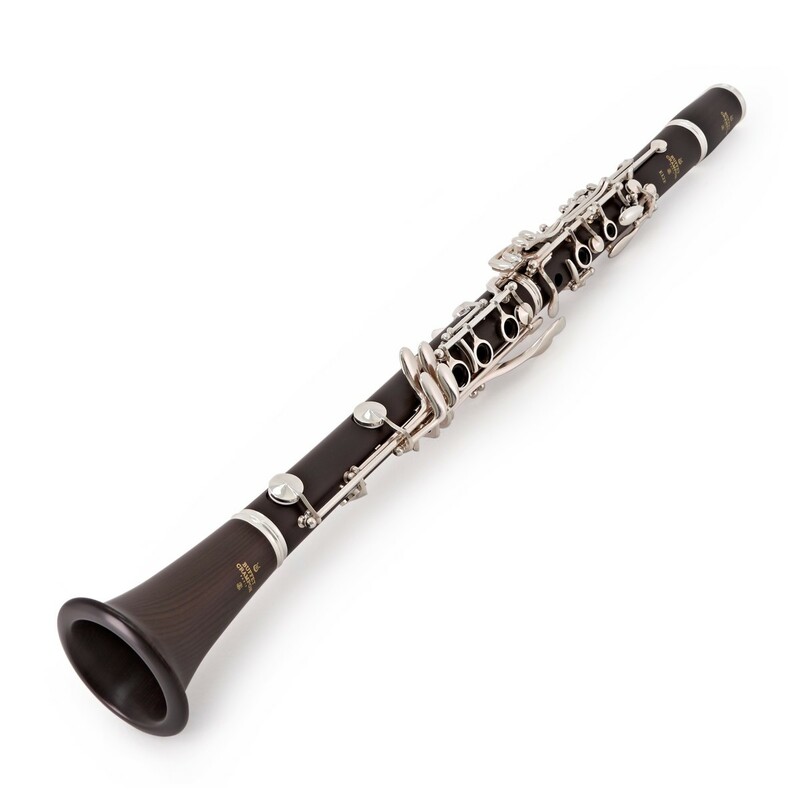 Unlike similar student clarinets, the E12F features an African Blackwood (otherwise known as grenadilla) body. The wood has been treated with a clear varnish to prevent damage to the instrument. The benefit from this wood body is the unprecedented tone, which is favoured by all professional musicians and has been the chosen professional choice of wood for decades. 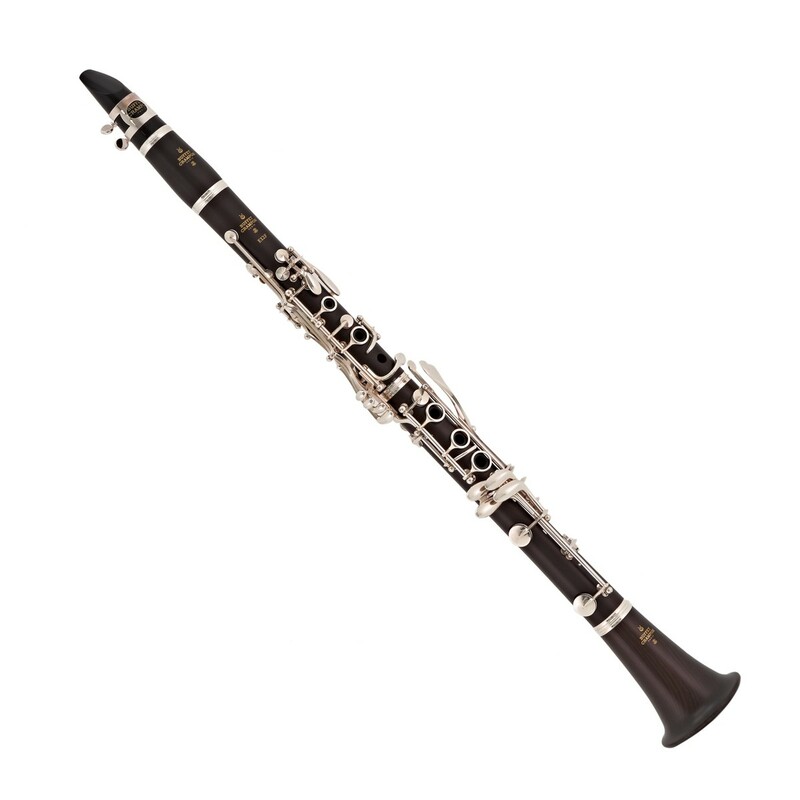 The Buffet E12F clarinet has a simple design featuring the standard 17 keys and 6 rings. 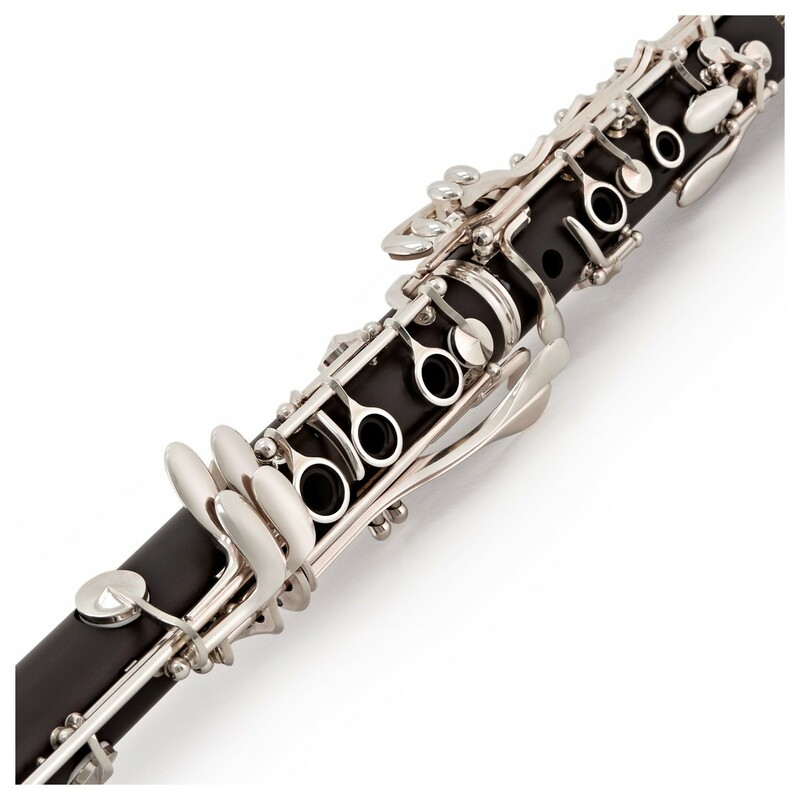 All keywork is silver plated, which is long lasting and ergonomic, enabling ease of play for all clarinetists. This combined with an adjustable thumb rest, makes the E12F very nice to play. All tone holes have been undercut and combined with leather pads, creating a great seal with better intonation and tonal character.